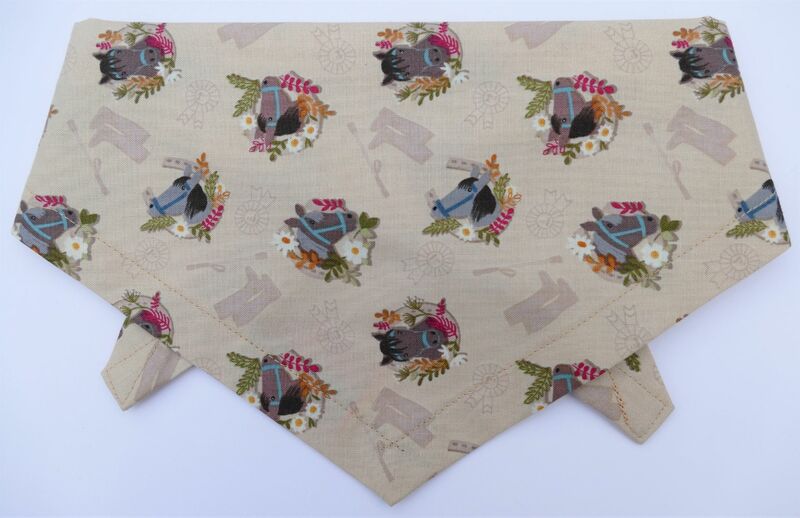 A gorgeous Pony dog bandana from our Premium range. 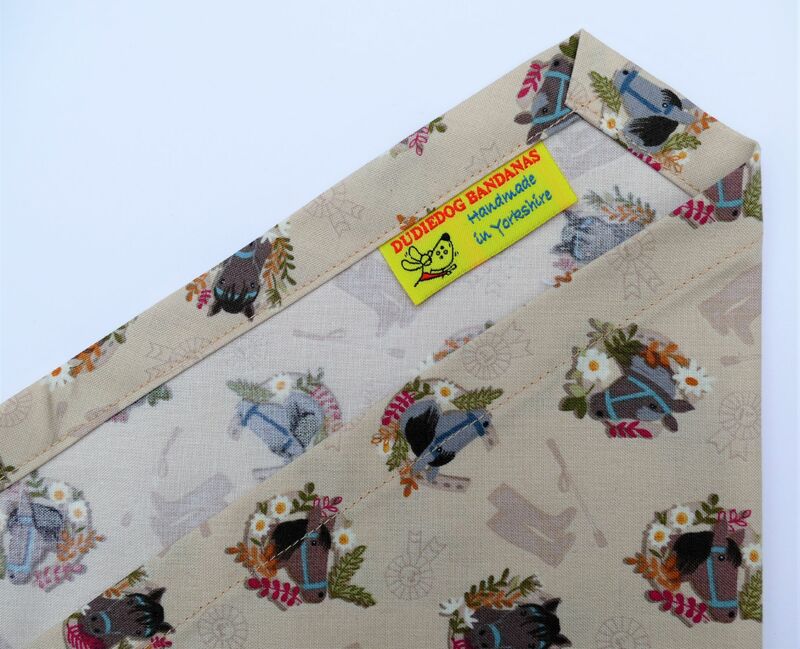 The design has sweet little pony heads inside horse shoes, with boots, crops and flowers too! 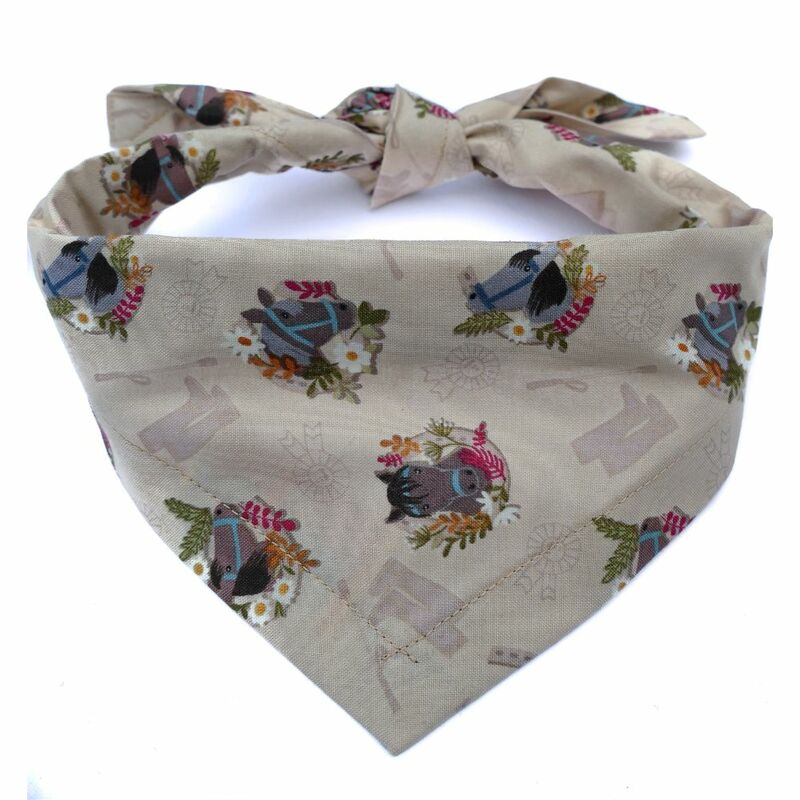 It's a beautiful design, and is particularly perfect if you're involved in Gymkhanas and horse shows, or if you just love ponies! 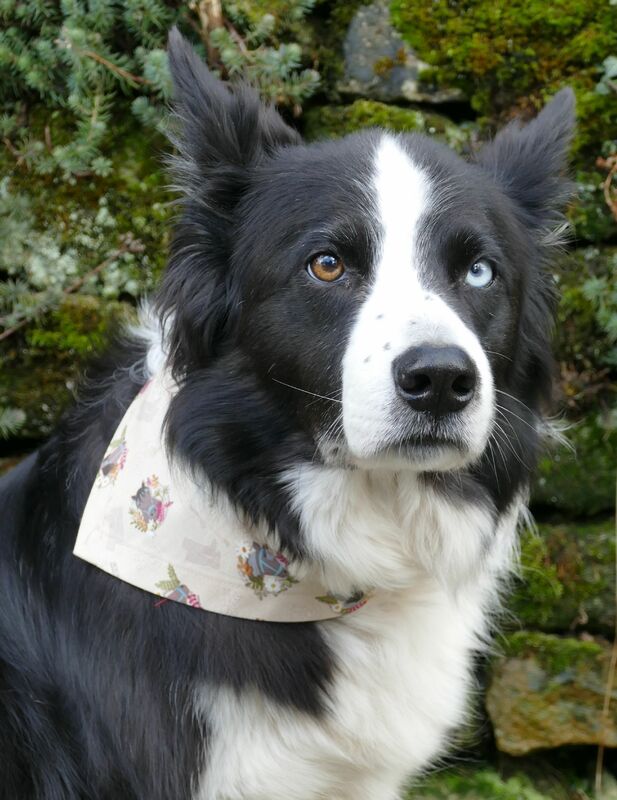 It's a great bandana for any occasion, for any fun loving dog about town or country!